Hello! I hope you all had a great chirsmas time! and I place the third sensor behind me on the right side, will my hands be tracked when I turn left? Like that I am facing away from all sensors. Its just about the placement, not the distance of the sensors. 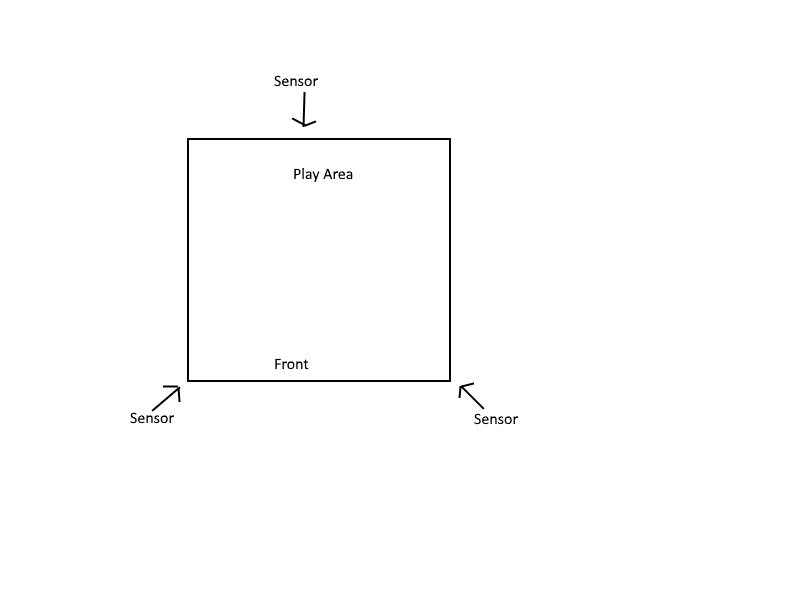 Okay, and how far do I need to place the 2 front sensors away from my play area? Because in my room it would be like 20 cm. And what do you mean with 90° to on of the front ones? Oculus recommend "to put your front two sensors 1-2.7 metres (3-9 feet) in front of where you'll be wearing your headset. P.S. Sensor Bounds is a great (free) app that shows you exactly what each sensor can see. 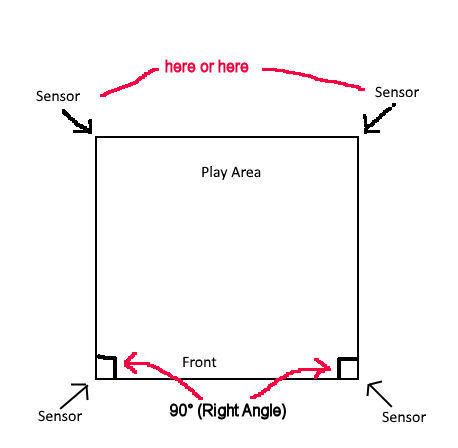 Recommendation is always to have the 3rd sensor at 90° to one of the front ones. Mine is set up as recommended and works fine.